HAMMONDSPORT—The fate of the Keuka Maid is now being decided in court. Urbana town Supervisor Gordon Lanphere said the matter of eviction has been going back and forth in town court. He explained the last court date was adjourned because the town's attorney could not be present, and the time before that was adjourned because Robert Pfuntner's attorney could not be present. Pfuntner owns the Keuka Maid, as well as Pembroke Pines Media Group. 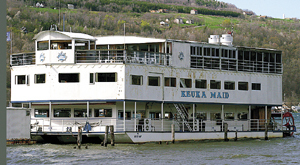 Lanphere said the Keuka Maid has been docked in Keuka Lake and unable to be used since 2006 until it is inspected. 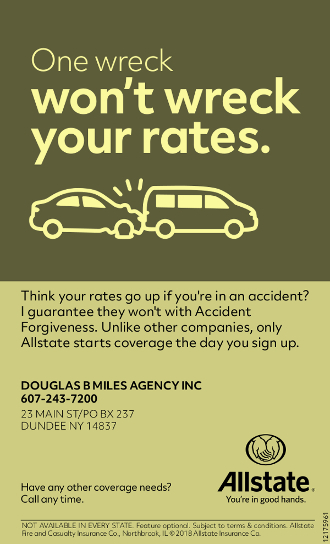 However, to do that has turned out to be costly and hard to do. He explained that Phuntner has looked into getting the boat lifted out of the lake to be inspected. However, there isn't a crane big enough in the area to lift the Keuka Maid. He said Pfuntner had also wanted to dam off the boat so the hull could be inspected with it still in the lake, but the Department of Environmental Conservation nixed that idea. "He's in a tough place too," said Lanphere. However, as the town waited for something to be done to the Keuka Maid, the lease was re-approved a number of times as long as Pfuntner paid a monthly fine. Lanphere said June was the last month an extension was granted. He explained that was when the town board decided to take the matter to court. Lanphere said it could go higher than town court, maybe even to Yates County court because of Penn Yan and Milo got an injunction saying the Keuka Maid could not be moved to the northern end of the lake.